There are only 5 more days left of National Hermit Month, my friends. It's time to get serious and see how much junk food we can consume, how many books we can read, and how many movies/TV shows we can watch. Luckily for us, there are a few incentives to get us working hard on our hermit goals. 1) Girl Scout Cookie season! My roomie and I devoured some Samoa ice cream yesterday, and it was glorious. Feel free to order some and gorge yourself. You deserve it. 2) The Oscars are coming up. I don't necessarily LOVE the Oscars, particularly since the awards (lately) seem to be given out more for political reasons than anything else, (if Obama starred in any movie, he would automatically win best actor) but it's still a good excuse to watch a lot of movies. Why didn't I go to work today? Obviously I was at home in my pajamas, catching up on a year's worth of movies. Duh. What's the matter with you?! 3) The last season of LOST is starting next week. It's very important that you get caught up so you can watch it with the rest of the world. All right, everyone. Let's end January with a bang. The Ghetto Called. They Want Their Booty Back. But I'm not giving it back to them! It's no secret that I have what my little sister loving refers to as a "Beyonce Booty". A couple of weeks ago, my darling kindergarten children came into class. Now, our class consists of routine. They come in, sit in a circle, and then proceed to turn into little unmanageable balls of energy that run rampant around the room until class is done. This routine is very important. On this particular day, they decided to skip the whole "sitting in a circle" part of the routine. 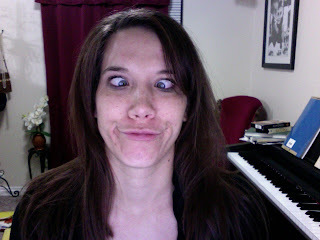 I, being the incredible disciplinarian that I am, decided to nip this behavior in the bud. I said, "Children, what shape are we supposed to sit in when we come to class?" Then I drew different shapes on the board. A square? (The smart kindergarten kids said, "No!") A triangle? (No!) A diamond? (No!) A circle? "Yes!" They cried in unison, with the exception of one little girl who said, "No. It's not finished yet." This darling girl came up to the board, erased a part of the circle, and said, "There. Now there's a place for you to sit." Just when my heart was about to melt over the child's sweet gesture, all of the other kids yelled, "It's not done yet! Make it bigger." So the girl erased more. All right, kids, that's enough. Little punks. Respect the Beyonce Booty, okay? Gingersnaps are such happy cookies. neglecting your responsibilities just long enough to eat home-made gingersnaps, fresh from the oven, and watch a couple of episodes of Castle. 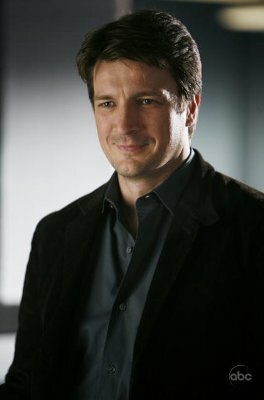 Add Richard Castle to my list of fictional characters that I have crushes on. I realize that sounds incredibly nerdy. Oh well. Want a gingersnap? I guess I'd better get back to those responsibilities I've been neglecting. I finally gave in to "the man" and got a Gold's Gym membership a month or so ago. Yes, yes. Go ahead and tell me about how Gold's is an evil corporation run by the devil, and about how I should have gotten a 24 Hour Fitness membership. I've heard this a lot. And yet, despite the fact that the Gold's franchise in Utah may be owned by the prince of darkness, I'm actually enjoying myself. Does that make me a bad person? What certain things, you may ask? Well, for starters, I don't appreciate people walking around naked in the locker rooms, particularly when there are perfectly good changing stalls available. Oh, and particularly when said naked people have a lot of piercings. PUT SOME CLOTHES ON. Secondly, I don't appreciate people who come to the gym to make out. Really, friends? Is the bench press REALLY the best place for you to make out passionately on a Wednesday at 4:00 pm? And, if this is the case, at least have the decency to sanitize the bench after you're finished. That would be appreciated. Anyway, if you want to avoid such awkward situations, you have the Hermit Month excuse for the next 12 days. Milk it for all it's worth. My hermit celebrations are on hiatus for a couple of days, due to the fact that I am in Texas once again for the weekend. And, for those of you who haven't spent time in West Texas (particularly around my family), let me tell you that it's very hard to remain in hermit-hood when you're surrounded by so many awesome people. I'm convinced that there's something different about the air in Texas that just produces friendly people. Perhaps the government is pumping some sort of drug into the atmosphere in aerosol form? I'm not sure. I haven't been able to collect enough scientific data to test my hypothesis, but there sure is something different here. More on that later. 1) I think I need to learn how to completely incapacitate someone with only an arm-chop to the neck. It came in very handy for Liam Neeson, after all. So, bad news about the Hermit cookies. My nutrition goal for the week is to not eat sweets. *Jules makes a sad face. * Those cookies will just have to wait, because I'm not breaking my goal for some nasty-sounding raisin-infested blobs. Okay, maybe they don't sound that bad, but I definitely think I need something more substantial and...oh...CHOCOLATE-COVERED to tempt me. 1) Focus on how annoying people are. This will encourage you to stay inside, where it's safe. Good places to observe annoying people: the road, church, school, the movie theater. Anywhere, really. They're everywhere. 2) On the first day of the week, spend ten minutes outside without a coat (if you live in a cold area, that is). This will help you to appreciate the safe snuggliness of your bed, and you won't want to leave it. This is an essential part of a productive hermit celebration. 3) Stock up on the books, movies, and food. 4) Oh, all right. If you just CAN'T STAND being away from people, pick some of your finest buds and celebrate the holiday together. I know that this seems to go against the very nature of National Hermit Month, but I suppose I'll overlook it. Especially if your finest buds are cute and cuddly. It looks like my Hermit month is going to be excellent. I lost my phone charger, and my battery is reaching critical levels. That is definitely going to contribute to the festivities. Last year's celebration was quite the success. At least, I think it was a success. I don't know if anyone else joined in on it, since the whole point was to just stay at home. Hmmmm. Well, this year I'm pulling out all the stops for National Hermit Month. I'm even going to make hermit cookies!! Did you know there was such a thing? I found a recipe, and I'm a little worried about how these will turn out, but whatever. The beautiful thing about baking for yourself is that there's no one around to witness your failure. Score. Want the recipe? Go here.